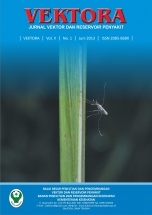 Vektora or Vector and Reservoir Diseases Journal published by Balai Besar Penelitian dan Pengembangan Vektor dan Reservoir Penyakit (B2P2VRP) or Institute Vector and Reservoir Control Reasearch and Development (VRCRD) in Salatiga. 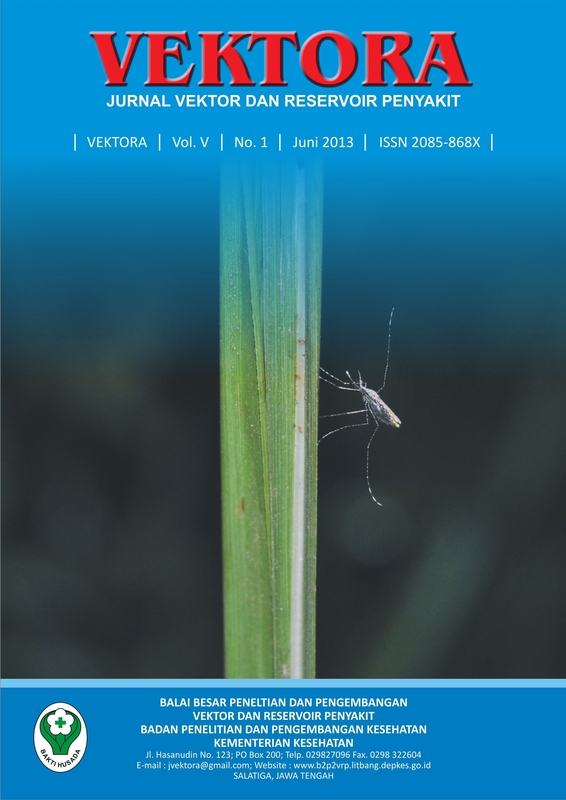 Vektora accept scientific journal articles about research findings, review the results of the research, methodology and new approaches in research related to vector and reservoirs of disease. Only articles that have not been and will not be published in other media which will be published in the Journal of Vektora. Vektora has been indexed by Indonesian Scientific Journal Database; Indonesian Publication Index; Bielefeld Academic Search Engine. Indonesian Scientific Journal Database; Indonesian Publication Index; Bielefeld Academic Search Engine.